Hi everyone! 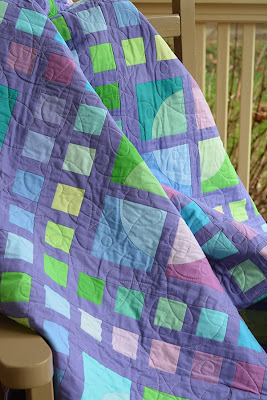 I hope you've been enjoying the solids projects popping up on the Wake Up to Kona Blog hop over at Sew We Quilt! To celebrate the final week of the blog hop I'm offering up the Sunset version of City Lights as featured in Color Essentials, with proceeds going to CCFA, the Crohn's and Colitis Foundation of America. (This organization is a non-profit, volunteer-driven organization dedicated to finding the cures for Crohn's Disease and ulcerative colitis. They are also a great resource for people living with the disease.) Lots of people have a misconception Crohn's disease and colitis only afflict the older population but there are millions of people of all ages who deal with these diseases on a daily basis. Chances are you know one… or a few. I had a lot of fun making this quilt, and figuring out how I water to colors to flow in alternating blocks. It is set on an Kona Amethyst background and the appliqué is done in various cool shades of Aurifil thread. I used Warm and Natural batting for vintage feel. Deborah Norris quilted it for me using an "Interlocking Shooting Stars" pattern by Bonnie Borseth. I hope you like it! If you are interested in bidding on it please visit this link! 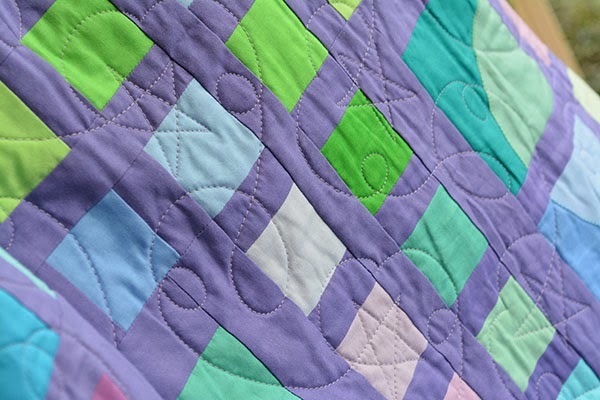 A gorgeous quilt for a worthy cause. 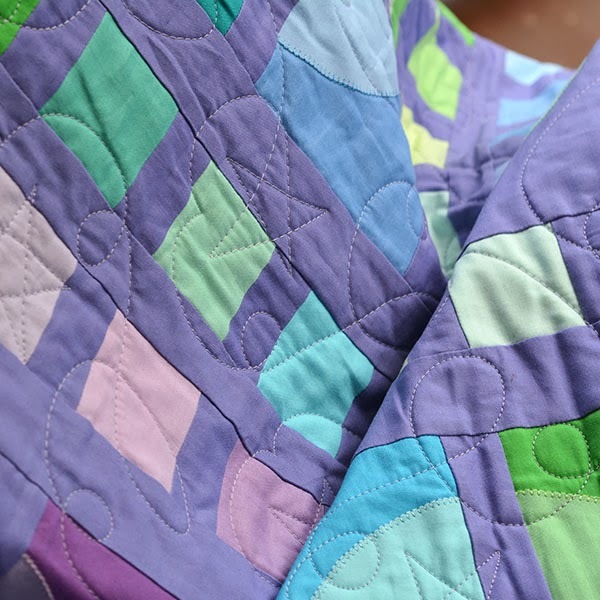 Such a beautiful quilt and great cause! That is a beautiful quilt Amanda. I think it's great you are donating that quilt for auction to help with that disease. It's sadly, already out of my price range. I have enjoyed this hop I know this book is on my wish list. Everyone on this hop has had some fabulous quilts and projects. Thank you for supporting Crohn's and ulcerative colitis research! My husband has been dealing with Crohn's for over 6 years now. I look forward to the day there is a cure!